Groundfloor Twin Suite - Breakfast Included! This room has Two Single beds, and is on the ground floor, the shared facilities are on the second floor. Room has Flat screen LED TV, Hair Dryer, Tea & Coffee Making facilities, Free Wi-fi. Free Tea & Coffee in the Breakfast room. Queen Ensuite - Breakfast included! Ground Floor Queen Ensuite has a Queen size bed and a Single bed in two separate bedrooms, private shower and toilet, walk-in wardrobe, full size fridge. 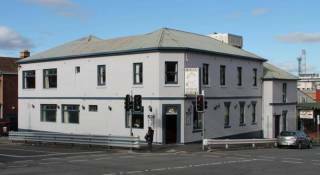 Located in the centre of Hobart, Tasmania, Australia, Edinburgh Gallery Bed and Breakfast combines unique, hip heritage accommodation with original, modern artworks, in a boutique hotel environment close to the CBD and historic tourist precincts - Salamanca Place and Market, Constitution Dock and Battery Point. Edinburgh caters for couples, singles and families and is gay-friendly. Breakfast - A hearty continental buffet-style breakfast is served in the breakfast room from 8-10 every morning and earlier, on request. Breakfast features local Tasmanian produce, cereals, poached fruit, yoghurt, a cheese platter, a variety of locally-made, quality breads/crumpets/pastries, fresh-brewed coffee, and a variety of teas and fruit juice. Gluten-free and soy products are available on request. Guest Lounge - Our guest television lounge with books and magazines has a large-screen TV and a wide range of DVDs and videos on hand. You are welcome to bring your coffee through from the adjacent breakfast room. Guest Room - Guest rooms with tea/coffee making facilities, bar fridge and television. Our off street parking is accessed via Molle Street. The Hobart Transit Centre is two hundred metres away in Collins Street. The local bus stop is out the front. The airport shuttle bus will drop you at our door on request. Since opening in December 2003, we have received a number of glowing reviews for our fresh take on accommodation. ‘Where art meets accommodation’. David Reyne. ‘Getaway’. Channel 9. 05.08.04. “…this funky, retro answer to the traditional B & B. Not a Laura Ashley print or lacy pillow to be seen.”- John Lethlean. “The Age.” 25.09.04. - Catriona Howatson. “Food and Travel.” U.K. Feb./Mar. 2005. 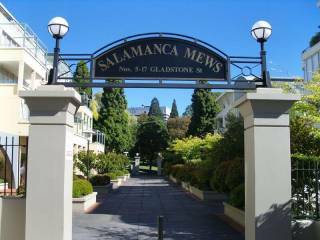 Tasmania is situated 200 kilometres south of the Australian mainland, and is easily accessible by air and sea. By sea — Take an overnight ferry trip on the Spirit of Tasmania car & passenger ferry between Melbourne and Devonport. The readers of Travel + Leisure (USA), one of the world's top travel magazines, have voted Tasmania in the top four islands in the world for value (2006). 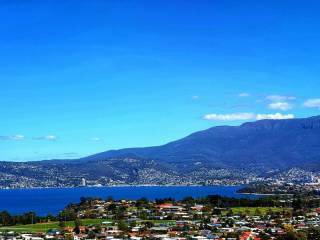 And Tasmania is the only Australian destination to have been rated as a ‘must-see’ for 2006 by Frommers, the leading North-American travel guide. There's as much, or as little, as you want to see and do, and always something interesting happening. We have no doubt that you'll quickly discover Tasmania is the perfect place to refresh your soul, revive your spirit and rejuvenate your senses.